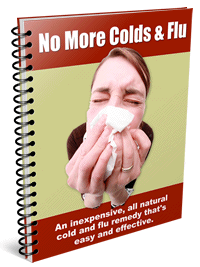 Why learn about immune system vitamins? We are all under constant assault from invading pathogens and environmental toxins. Lucky for our immune system, vitamins in the right amounts fend off these foes with ease. The most important vitamins for immune system health are below. Let's look at why they're important. These vitamins provide a wide range of other benefits as well. Click on the ones above that interest you for detailed information on how you can benefit from them. Will these vitamins keep me well? Perhaps you're wondering if taking vitamins to boost your immune system will really help. Well, in most instances, the answer is yes. But if your lifestyle and eating habits do not reflect the good intentions of taking vitamins, you will probably notice little benefit. So if you eat a lot of junk food, smoke, drink a lot of alcohol, and sit on your duff all day, don't think that vitamins will miraculously make you well. You cannot create ideal health and energy under these circumstances. However, if you are being proactive and taking positive steps to improve your health, these vitamins can do you a world of good. Can't I get enough vitamins in the food I eat? Again, the answer is, it depends. Even if you eat a lot of fresh fruits and vegetables, you still might not be getting vitamins in the amounts you need. Commercial farming practices have stripped away most of the nutrients in our soils, and have left our food supply "nutritionally challenged." You will get many more nutrients if you eat organic foods, but even then it can be challenging to get enough of these immune system vitamins. To stay healthy and give your immune system a boost, consider supplementing your diet. I especially like organic whole food supplements.